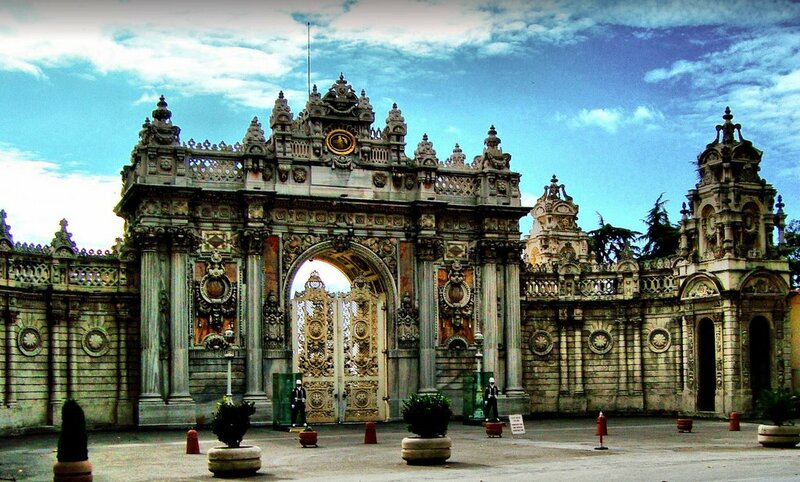 Half Day Dolmabahce Palace Tour includes a visit to Dolmabahce Palace which was built by Sultan Abdulmecit between 1843 and 1856, famous for being the first European- style palace in Istanbul. Dolmabahce Palace, the last residence for Ottoman Sultans with 365 rooms and 22 saloons. Famous with the great collection of European antiquity, furniture and 4.5 tons chandelier. 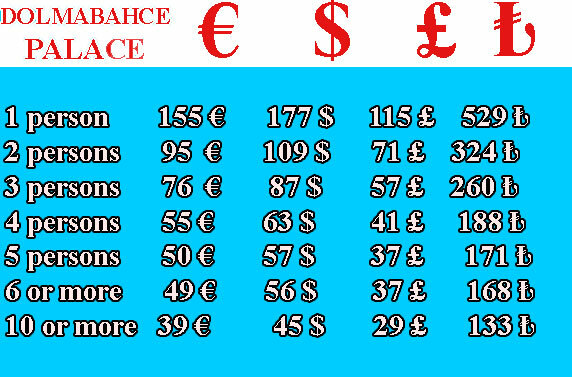 Please Note: Dolmabahce Palace is closed on mondays and thursdays.